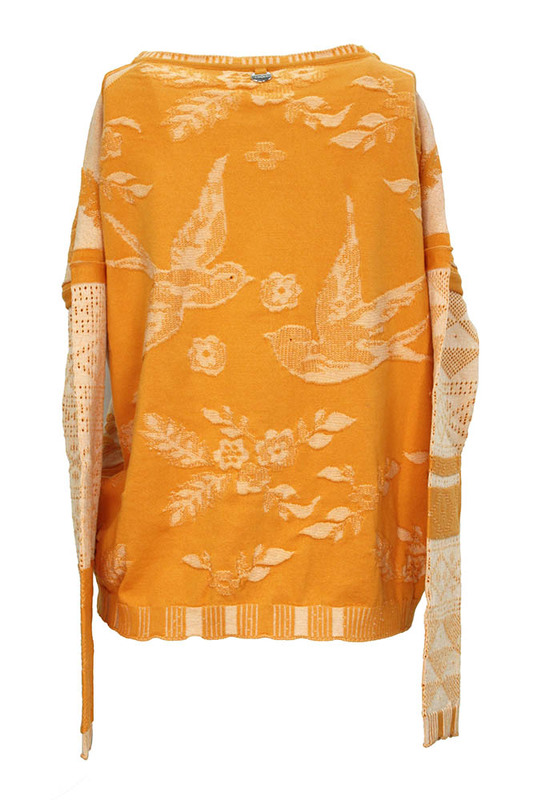 High 'Flighty' long sleeved, knitted pullover in orange. Round neck with rolled finished trim. Knitted swallows and plants on front and rear panels, the rear panel is the inverse colours of the front panel. 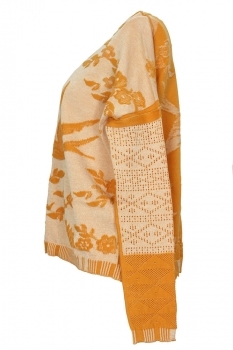 Sleeves have geometric patterns with folded fabric detail and ribbed cuffs. Ribbed waistband. Small metal High tag at rear of neck. 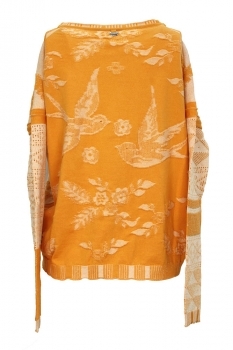 Beautiful piece of Summer knitwear.